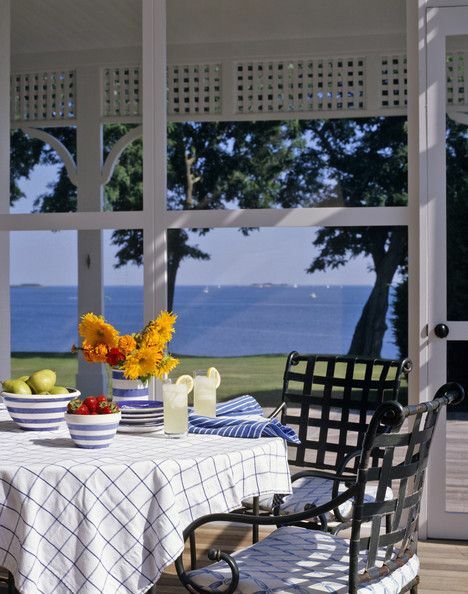 When your views are like the one at this home, a back porch is a must! Open and airy, a beautiful custom covered porch with railings and columns. Columns line this open wrap around porch inviting family and friends to gather and relax on the comfortable seating areas. This lovely screened sun room has that old fashioned charm. Interesting ceiling angles and custom woodwork compliment the space. Sit back and relax on these timeless rockers. This beautiful Craftsman style home welcomes you in. A Heart Redwood lined ceiling, custom columns and rails is crafted to match the style of the home. The front door, lighting and choice of paint colors, also add to the Craftsman era look. Whatever your home style and your taste, a porch always creates a welcome addition for your family and guests. I love to create a space for my clients that compliment their home style and will include elements that the family will enjoy for years to come. Newer PostYour Staircase Makes a Grand Entrance: A focal point not to be ignored.